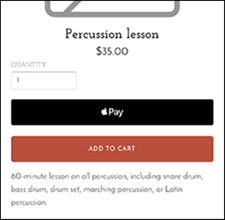 Required: For each payment method, you'll need to sign in to an existing payment account or create one. Square is only available for customers in the United States, United Kingdom, Canada, and Australia. 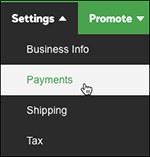 In the top bar, click the Settings tab and choose Payments. 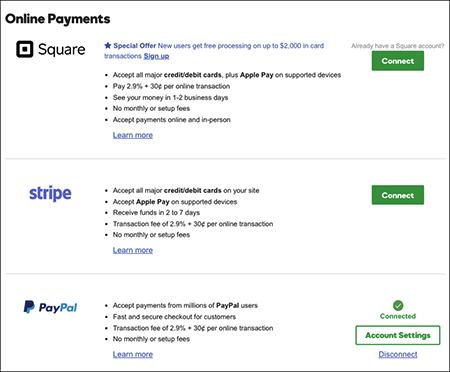 Note: If you ever need to update a payment method, return to this panel and click Account Settings. Or you can remove an account from your store by clicking Disconnect.